KASHIGATA 5pc. 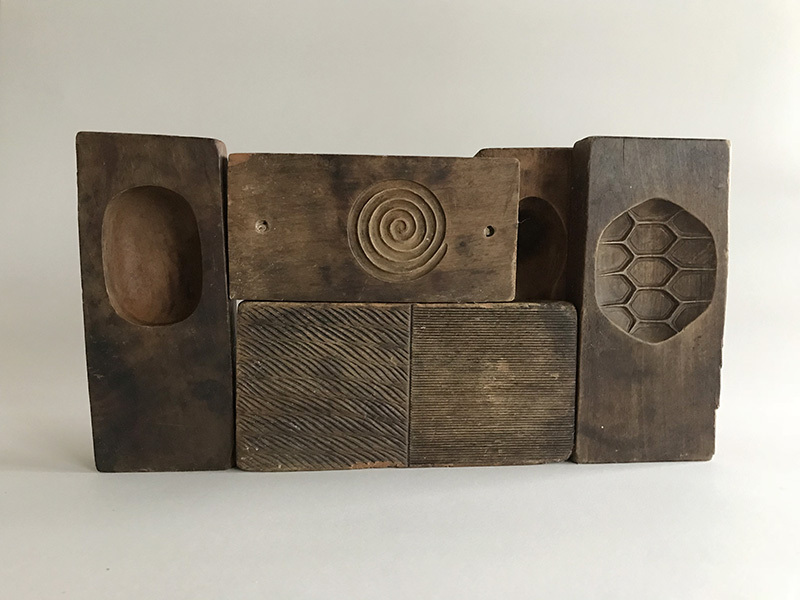 (Dealer: Jinta) – ‘Kashigata’ wooden sweet mold used by a Japanese pastry chef. Early Showa period, 20th century.